A new report has accused ministers of lacking an overarching strategy for cutting emissions from road transport, with a potential £23bn annual hole in tax receipts by 2030. The report from think tank Policy Exchange warns that ministers must take more assertive action to tackle the twin problems of greenhouse gas emissions and air pollution from road transport but, conversely, argues that the market should decide whether drivers switch to ultra low emissions vehicles. 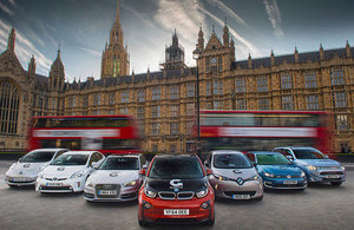 It claims that the Government has failed to appreciate the magnitude of a switch towards low emission vehicles, which could result in a significant drop in tax receipts. Policy Exchange said its analysis suggests that if the UK meets legislated carbon targets, fuel duty tax receipts would be between £9bn and £23bn lower than the Office of Budgetary Responsibility (OBR) is assuming. Between now and 2030, the cumulative impact on fuel duty receipts could be up to £170bn, the think tank claimed. It said one of the reasons for this discrepancy is that the OBR and Department for Transport (DfT) are working off ‘completely different projections’ for road transport emissions from the Committee on Climate Change (CCC), with none of the DfT’s scenarios achieving the emissions targets suggested by the Committee on Climate Change. Policy Exchange called on ministers to develop a new strategy to clean up road transport and deliver the carbon targets set out in the Government's Fifth Carbon Budget with closer integration between policies to reduce greenhouse gas emissions and policies to clean up air pollution. However, it also demanded that ministers ‘put consumers first’ and ‘let the market decide’. It argued that the uptake of ultra-low emissions vehicles ‘should be decided by market forces rather than government decree’. It added that ‘in the long term, Government should consider moving from the current system of taxing fossil fuels and carbon emissions to a system of road user charging’.